Notes: Glenrose is a small distillery even by micro distillery standards – they only had a 4 plater 30 gallon hybrid pot still from Artisan Distilling. 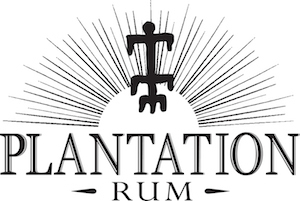 They just recently added a 100 gallon Bain-Marie multipurpose from StillDragon and a small home brew experimental rig that they produce their gin in. 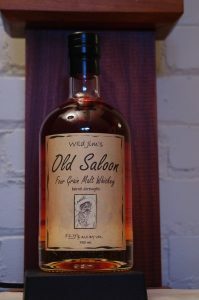 This four grain whiskey is an aged version of their Moonshine and has been aged in a 10 gallon barrel for about 9 months. Using 4 different malted grains grown and malted in New York State and local springwater from their well they produced this 4 grain whiskey in very small batches – the first release was 44 bottles total. All of which was spoken for – making it one of the hardest whiskies to find, indeed impossible unless you knew someone who got a bottle. Each barrel has been very good to excellent each time and also show a small , steady improvement with each subsequent barrel, but each is unique in small but interesting ways from each other, so it is fun to get together with people who have different releases to compare and contrast your bottles. Appearance: Clear, nice deep amber color in the bottle and gold in the glass. Medium heavy oily coat on the glass with some leges forming but mostly slowly retreating on itself as it slips slowly back down from whence it came. Taste: Nicely grainy malty and a somewhat sweet entry, with notes of oak char, tobacco notes, cherry, with hints of corn, barley, sweet sour rye, and mint notes with a touch of bread thrown in, warming and drying. Touches of Szechuan peppercorns and a bit of char/carbon make for an intriguing finish. A deft balancing of the four grains and the proper amount of aging to give smoothness without sacrificing the charms of a young whiskey by aging and oxidizing too long in a barrel and a forwardness in the char and wood notes without being overdone.. Drinks: Think of it along the lines of an Irish Whiskey or Speyside Scotch for mixing purposes. Bottle: Clear glass bell shape, slightly reminiscent of a apothecary bottle. Heavier decanter type bottom lends an attractive appearance and adds a nice sense of heft to the bottle. Large brown parchment style label similar to a wanted poster in both color and format. 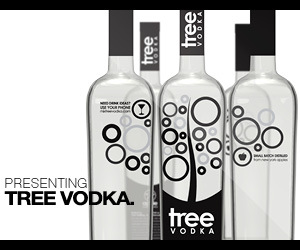 bottle graphic to make a distinctive label that can be spotted at a distance. Label is easy to identify and read, also has a quirky, rustic attractive quality catches the eye. Stands out on a bar or store shelf. Closure is a natural cork topped by a disk of finished wood and a black plastic neck capsule. Barrel and bottle numbers and signature on each bottle( This example being Barrel 11 Bottle 36). Other: Glenrose also produces an Apple Shine ( an unaged Applejack or Apple Brandy) 2 Pear Brandies, Batch 1 and Batch 2, Snow Devil Gin , and an unaged whiskey along with a truly outstanding Absinthe made in the Pontarlier Style. Check their Facebook or website pages for updates.